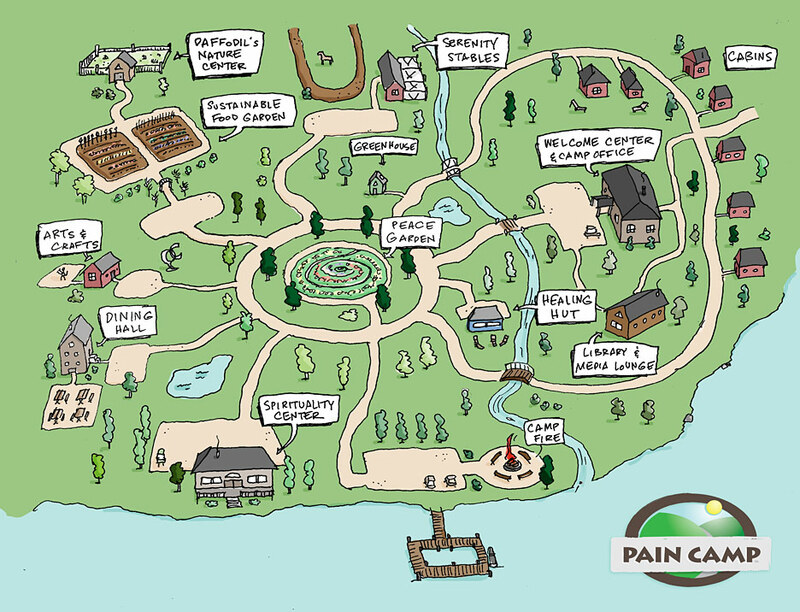 Welcome Pain Camper! You’ll need the map to navigate your way around camp. Please feel free to make the place your home. Relax, take in the sounds and sights. Pain Camp is a place of rest and renewal.